While writing the last musing on “Multiple Writing Personalities” I began to pull at another thread – the art of translations. There are many words that are not really translatable from Korean to English, and this is the case for many (if not all) languages. One example is the Korean word 한 (pronounced “hahn” and sort of means grievance) which comes from 원한 (pronounced “won-hahn” and sort of means grudge). Usually this word is used to describe the kind of deep grievance or regret that awakens a dead person’s body and spirit. Like Jason in Friday the 13th or the scary girls in The Ring or Grudge. But none of these words – hatred, resentment, grievance, regret – captures quite wholly the meaning that Koreans put in that word when they use it. Language is cultural. Words communicate values, beliefs, cultural experiences, and history. Sometimes a single one-syllable word like 한 means a whole lot. This complexity is what makes a translation – especially a poetic translation – a work of art. When Ko Un, one of the most well known Korean poets, read at the Dodge Poetry Festival in 2006, Richard Silberg performed the translation. While Silberg’s translations communicate the idea of the poem, I think most would agree that it doesn’t transfer the whole meaning that is communicated in Ko Un’s reading – the audience can sense or experience the poem in the way Ko Un performs his poem that’s quite different from the way Silberg translates and performs it in English. There is also an interesting translation of one of Ko Un’s poems by Suji Kwok Kim and Sunja Kim Kwok on Poetry Foundation’s website. Here is an excerpt from the translators’ notes. I highlight the last line above, because it shows the delicate choices one must make in translation – there is no such thing as “direct” translation, and we can see here the flexibility and creativity required in creating a work of translation. In addition to the meaning of words, much of the art of translation has to do with the sound of words (and silences) – the intonation, the vowels, the consonants, the accents, the shapes that your mouth makes, and the way the tongue rolls to create sound. In the line “명사도 동사도 다” (“all nouns and verbs”), the Korean words for “nouns” and “verbs” rhyme: Phonetically, this line reads, “myung-sa-do dong-sa-do dah” (“do”=”too” or “and” and “dah”=”all”). So, there is a rhyme in “sa-do.” I wonder if it’s that difference in sound or the specificity of naming “verbs and nouns” instead of grouping them as “all words,” but the translation doesn’t quite… translate for me. Still, I do not mean to argue that this translation is bad or that translations in general are inaccurate. Not at all. Ultimately, poetry translations are never about accuracy. It’s about telling and re-telling, creating and re-creating. Through the translators’ works, we share the words, the values, the thoughts, the stories, and the languages of all cultures. Works of translation open up poetry to interpretation, re-imagination, and even re-vision. Translation itself is a work of art. It has its own creative process. It is original in its own sense of coming into creation. Translation is the art of revelation. Translation is an art between tongues, and the child born of the art lives forever between home and alien city. Yet translation of poetry is conceivable. A translation is never an exact copy. It is different. A translation dwells in exile. Good translation of poetry is essential to a hungry reader in a decent book store and to a global village of letters. We need it, for we still suffer under that early Babylonian God’s edict of language dispersal. Although Antigone and Lear sometimes speak in exotic tongues, subverting God’s rage against the monolingual builders of Babel writers still scrawl their words in a thousand scripts, pile them up on mounds of hope and futurity, awaiting translation. Translation is a zoo and a heavenly zion. I love the phrase “a global village of letters.” That’s what the art of translation offers the world. Last summer when a relative was returning from a trip to Korea, she brought back a few collections of Ko Un’s works for me. I thumbed the pages but found many of the poems too difficult for my comprehension – so my mother took the books. Having thought a little bit about translations through this little musing, though, I’m now processing my order on Amazon for several Ko Un translations by people like Richard Silberg, Brother Anthony, and Claire You – This Side of Time (2012) and Maninbo (2015). Though my knowledge of the written Korean language is limited, having access to some of the poems in Korean and some in English (and maybe a few in both?) will give me a unique experience of Ko Un the Poet. Not necessarily fuller or more expansive experience – just different. Not only that, but it will also help me – a 1.5 generation Korean-American – become more familiar with Korean culture and history. And that is pretty awesome. Thank you, translators, for your word-art. Mom, I need those books back please. 더 이상 견딜 수 없기 때문이다. 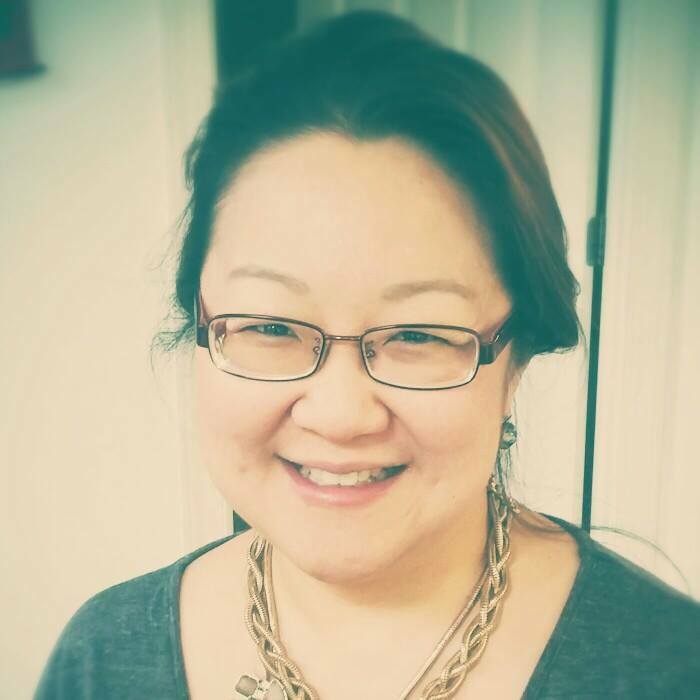 By Laura Yoo in Mana's Musings on November 10, 2015 .